As most of you know Vinnie Murphy from Combat Kickboxing had his Gym destroyed by mindless thugs and he lost everything including the building. Vinnie has been a huge active member of our community for years helping young and old through martial arts, learning respect and disciple. There are a huge amount of people that have passed through the doors of his gym that have gone on to do great things in their chosen field and without your support the gym will most likely cease to exist so if you can donate it would be gratefully accepted. 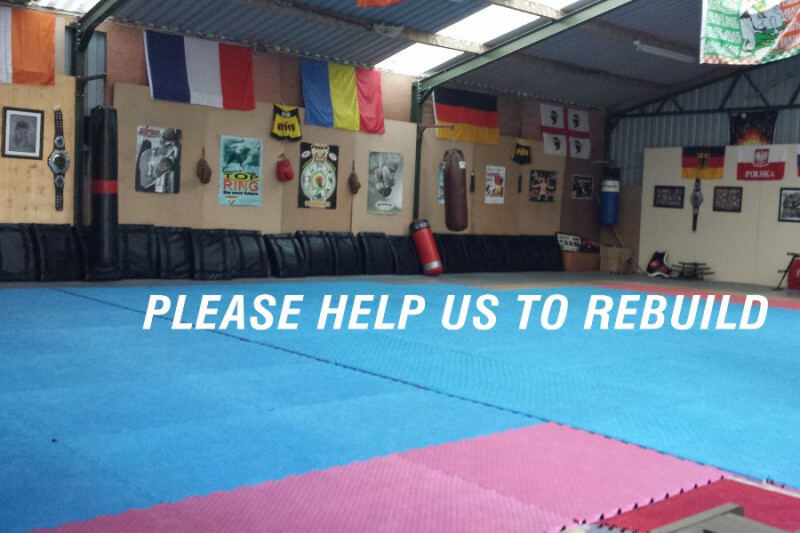 Thank you all very much for your support in getting Combat Kickboxing back up and running, we are up and running and have been able to buy some new equipment to get the classes back on again but we are a long way from getting back to what we were as we have to find a permeant home for the club and try purchase a new ring for our fighters to train in as it’s hard for full contact fighters to train without one as ring craft can only be taught in a ring. Thank you all again for your generosity and support. Thank you all for your amazing donations for our rebuild fund and for all your support over the last two weeks. Combat Kickboxing would certainly have been closed for good if it were not for you. We are back in business for the moment but need to find our own place to operate normal hours and get all our classes back to normal. Thank you all again. What can I say the support is fantastic. It means so much and your generosity is why we will be back up and running as normal in the quickest time possible. All donations are greatly accepted, even the smallest donation makes a huge impact thank you. What can I say I am so humbled by the response from everyone near and far and I would like to thank each and every one for all your support. Best of luck. Delighted lads back to training for now in the GAA.